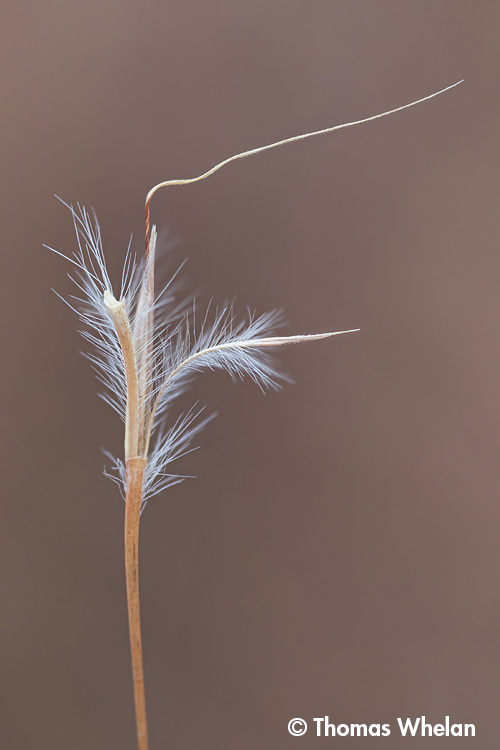 The feathery spikelet (seed head) of the grass Little Bluestem. Lovely image, Tom. Also, well composed. Simple and clean. I like the “rebellious hair”. Very nice composition with oof background and fine details. Love the twirly stem on the top. A bit of whimsy, perhaps? Love the simplicity and delicate feel of this, and the stray "hair". Very pleasing. Thanks for the kind words, everyone. That "stray hair" is called an awn, it's the detail that attracted me to the subject. All bluestem spikelets have one with that skewed angle (until it falls off), I hadn't noticed them before.